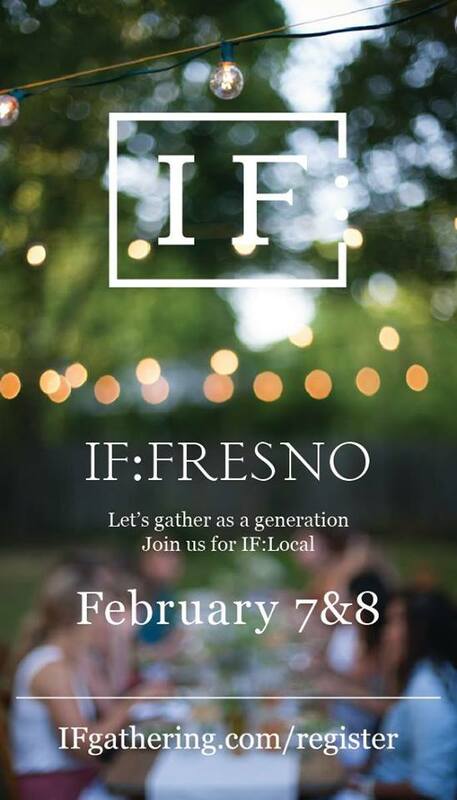 Come join us on February 7th & 8th for the IF: Gathering. What is the IF: Gathering? IF God is real… THEN what? We will gather as women, not as a church, a denomination, or anything more . . . but as women, seeking to unify under the name of Jesus and seek His plan for our lives, for our community, and for His kingdom. We are believing that God has given each one of us specific gifts, experiences, passions, and callings to use for His kingdom and His glory. We will hear from women like Jennie Allen, Jen Hatmaker, Ann Voskamp, Rebekah Lyons, Lauren Chandler and more via live stream. We will gather for worship, prayer, communion, teaching, and discussion. This gathering will be an honest, humble, simple, deep space to wrestle with what we believe about God and the callings we have in Christ. The IF: Gathering is not a retreat. It will not be polished and perfect, but simply a gathering place for women to come and be real, honest, open, and vulnerable with God and with each other. This Facebook group will communicate all of the information needed for the 2-day gathering. There is no cost, just a donation request per registration. There will be no child care, and we will be on our own for dinner/lunch. Looking forward to gathering with all of you in February.